If you want to contact Facebook, you'll first need to log into your account. Then look up at the top right corner of the screen. There, you'll see a little question mark inside a dark circle. Click it, then from the dropdown menu, select "Report a Problem." If you are reporting hate speech or a problem with your account like, say, difficulty uploading photos, you'll know where to go. ("Abusive Content" for the hate, "Something Isn't Working" for the upload issue, e.g.). But for more general customer service inquiries Facebook is rather inscrutable. You can try sending a message through the "General Feedback" link, but the company makes it clear that won't necessarily get you a reply, stating: "Though we can't review and respond to every submission, we do use feedback like yours to improve the Facebook experience for everyone." Your best bet may be to do an end run around the folks from Facebook itself, and instead go to the Help Community and asking other platform users like yourself. From any Facebook page, again click that question mark at the top right of the page. At the top of the dropdown menu you'll see the words "Help Center." Click there. On the Help Center page, scroll down as far as you can. On the left near the bottom of the page, click "Visit Help Community." You will be taken to a page where lots of questions have already been answered, but where you can also post your own question. At the top right of the Help Community page is a gray box with the words "Ask a Question." Hit that link. On the next page, choose the right Topic and Sub-Topic, then type your question. Now it's time for some waiting. Regardless of where you posted your query, you can go to your "Support Inbox" from the menu that drops down from that same question mark to see if anyone, be it a helpful community member or actual staffer, has decided to give you a hand. 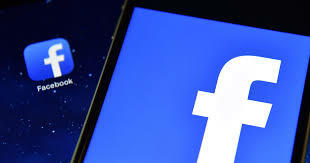 Another way to attempt to connect with Facebook is to reach out to them through or mention them on another social media platform. You can send a direct message to FB via Twitter or use their @Facebook Twitter account in a Tweet you post. If it gets enough traction, they will likely see it. So too can you approach via Instagram, including Facebook in a post, but unless you get a lot of love on that snap, chances are you're better back on the Facebook Help Center. Contacting Facebook directly can be difficult, as the company does not accept phone calls for customer support. There are a number of email addresses to which you can send questions or issues, but the responses can be slow and aren't assured, either. Using the platform's own Help Center to send messages to Facebook can be the most reliable way to connect with the company to report an issue.